ROAD TOWN, Tortola, BVI – Gov. Kenneth Mapp said he celebrated the 42nd Annual USVI / BVI Friendship Day with former Gov. Charles Turnbull this weekend. “USVI/BVI Friendship day is a celebration of shared culture, traditions, cuisine and history,” Mapp said. Mapp, Turnbull, several cabinet members, senators, island administrators and member of the USVI community enjoyed good food, drink and entertainment during their visit to the BVI. 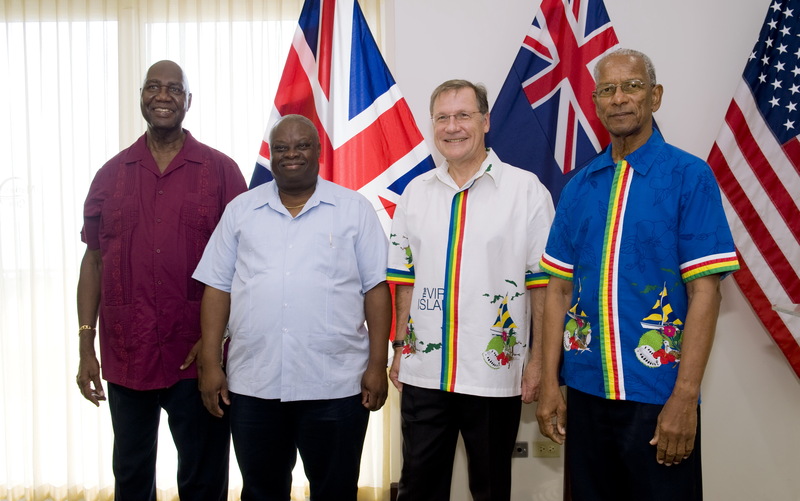 Throughout the territory the flag of the British Virgin Islands flew at all Government House properties, the governor said. “Plans for next year’s celebration have already begun as the USVI will host the event next year,” Government House said. “Ceremonial” Gov. 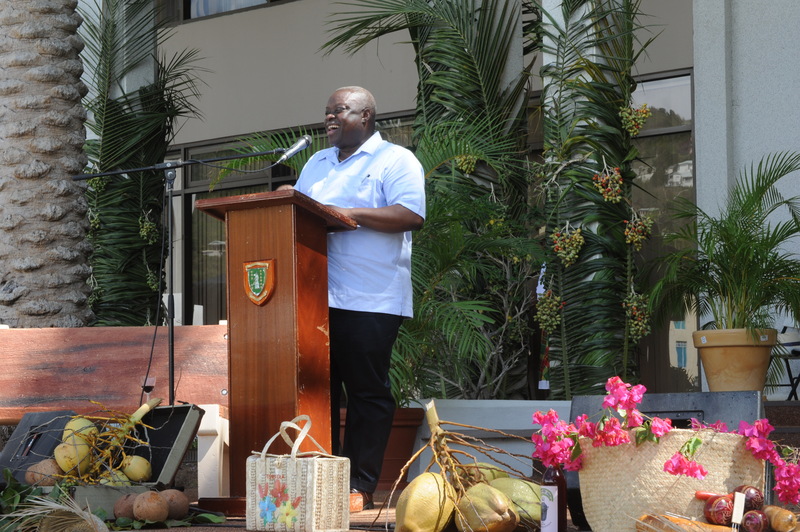 Mapp practices his speech alone at the podium before the “crowd” arrives in Tortola Saturday.